To schedule an appointment with our friendly staff, please give our practice a call. Alternatively, if you schedule an appointment online, a member of our staff will get in touch with you via phone. Our receptionist will then ask you a series of simple questions to determine how we can best assist you on the day of your visit. When you or your family arrive at our dental practice for the first time, our receptionist will greet you warmly before inviting you to take a seat in our comfortable waiting area. Here, you’ll find a range of reading material, such as new magazines, to keep you entertained if you wish. 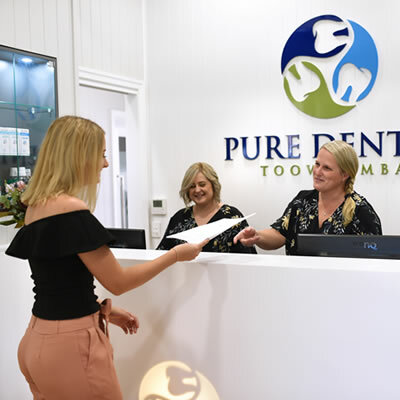 Your first visit will take the form of an hour-long consultation with Dr Nicola to talk you through your dental desires, concerns, or questions. Dr Nicola takes this time to get to know each client, as she is then able to produce a personalised treatment plan with their needs and wants in mind. The treatment plan is also a great way to show a client what they can expect in the coming visits, including treatments and costs. Armed with this information, both Dr Nicola and the client can then discuss topics such as payment plans or any other relevant information. In some circumstances, a special x-ray, an OPG, is required that looks at the lower face, teeth, jaw joints and maxillary sinuses. This x-ray is useful to demonstrate the number of teeth as well as their position and growth, and is particularly useful to assess teeth that have not surfaced yet or pathology within the jaw bone. Dr Nicola will refer you for one of these x-rays, if required. Please bring your health fund card with you when you visit our practice, as we process claims straight away through HICAPS. If applicable, you will only have to pay the gap payment. We also provide further financial assistance through the Child Dental Benefit Scheme (CDBS) and Department of Veterans’ Affairs (DVA) and we bulk bill for these patients. 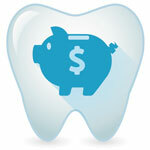 We are now offering a payment plan option through My Smile Plan (open pay). There is a minimum spend of $500 which does NOT include the initial consultation. Please ask for more information at reception. Our approach to helping clients with dental anxiety is second-to-none. Clients will instantly feel at ease with Dr Nicola’s warm, caring, and friendly personality. Our practice also offers options like sleep dentistry to truly help you relax during your procedure. Dr Nicola prides herself on non-invasive dentistry and once you visit us for the first time, you’ll find it a lot easier to entrust your smile with our highly-competent and experienced team.